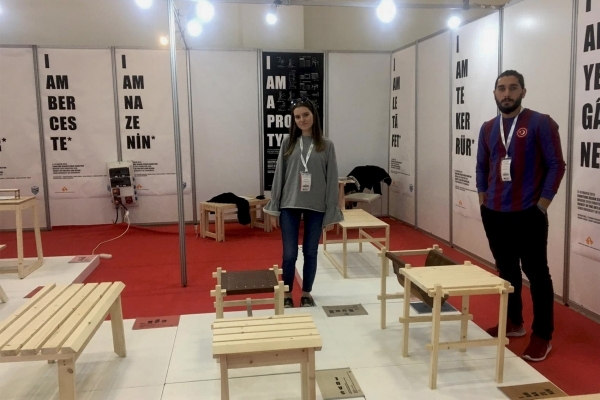 In the fall semester of 2018-2019, Izmir University of Economics, Faculty of Fine Arts and Design, 3rd Year Interior Architecture and Environmental Design Department and Industrial Design Department students produced furniture collection ‘’I am a Prototype’’within the scope of Furniture Design course. 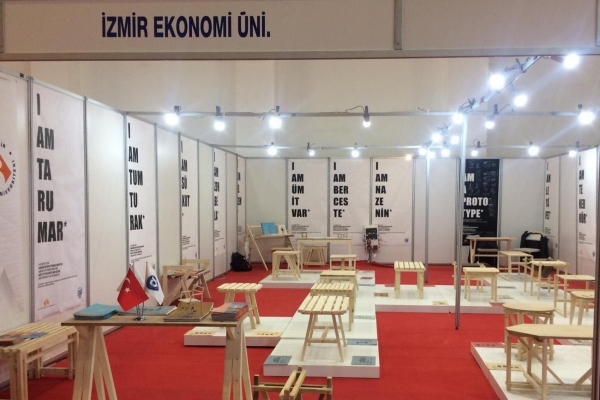 It was exhibited in Modeko Izmir Furniture Fair from 6th to 10th of March. 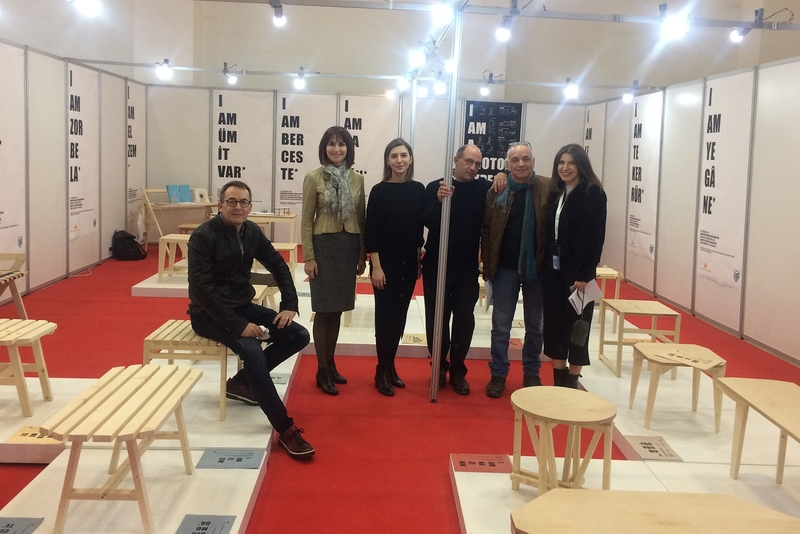 Students, as they do every year, also participated in the exhibition with the works they designed and produced in the DmakerLab workshop of the Faculty of Fine Arts and Design. In the course, students learmed about the theory and methodology of design and they are expected to learn by producing, besides the wooden material, different materials and local cultural elements are synthesized. The exhibition was visited by the President of the Board of Trustees of Izmir University of Economics and the President of the Board of Izmir Chamber of Commerce, Mahmut Özgener, and the future projects were discussed with the students. The opening of the exhibition was held with the participation of Dean of Fine Arts and Design Faculty, Prof. Dr. Ender Yazgan Bulgun, Head of Department of Interior Architecture and Environmental Design, Asst. Prof. Dr. Markus Wilsing and Head of Industrial Design Department Asst. Prof. Dr. A. Can Özcan.